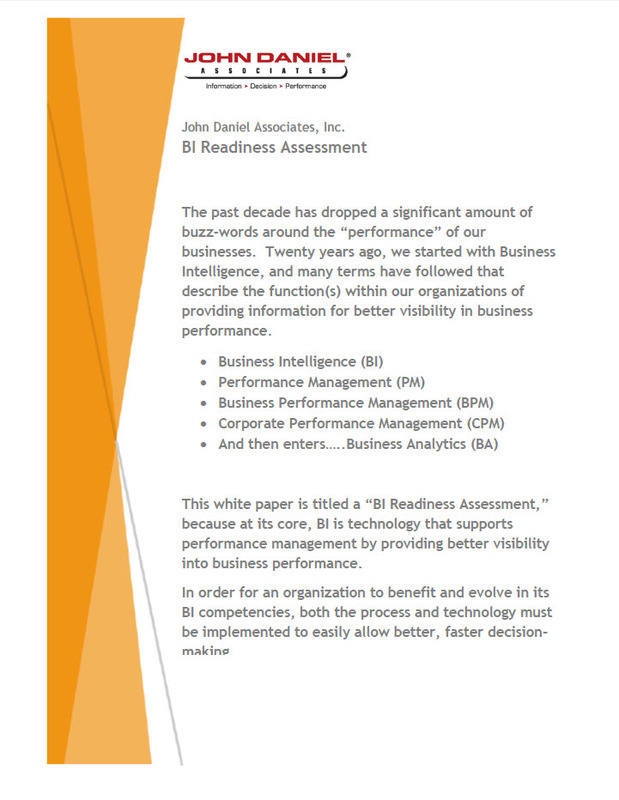 Download the BI Readiness Assessment! Save time. Save money. Start strong. Please note that by submitting your personal data, you agree to receive marketing messages and other communications from John Daniel Associates. We will NEVER sell or distribute your contact information. You may opt-out of receiving further communications at any time.